along roadsides, in fields and pastures or even in your own backyard. I’m referring to Phyllanthus urinaria, which has many different names around the world. It’s commonly called chanca piedra (Stone-Breaker) in Costa Rica. As the name implies, it’s good for dealing with kidney stones and gallstones. So here’s some of the good news about this humble little plant and how to grow it at home: someday, it may come in quite handy. This is a small plant, growing up to 60 cm, with small, alternate leaves like Mimosa plants. The leaves are large at the tip and smaller towards the petiole, closed at night and open by day. Its flowers are greenish white, minute and appear at the axils of the leaves, as well as the seed capsules. Numerous small, round and smooth green-to-red fruits are found along the underside of the stems, which are erect and red when mature with seeds. According to Hernán Rodríguez Navas in his book “La Utilidad de las Plantas Medicinales en Costa Rica,” chanca piedra is used as decoction for hepatitis and infections of the urinary tract; as a diuretic: for renal and hepatic stones; for mouth and throat infections; and for ulcers. It is a tonic for the liver. The decoction of the leaves serves in cases of jaundice and as a vomitive, and the whole plant can be used for diabetes, infections of the kidney and bladder and to break up the kidney and gall bladder stones. Pharmacological studies have also indicated a laundry list of other characteristics of the plant: astringent, analgesic, antibacterial, anti-inflammatory, anti-malarial, anti mutagenic, anti-spasmodic, anti-viral, among others. In 1990, the Paulista School of Medicine in São Paulo, Brazil, conducted studies with P.urinaria. 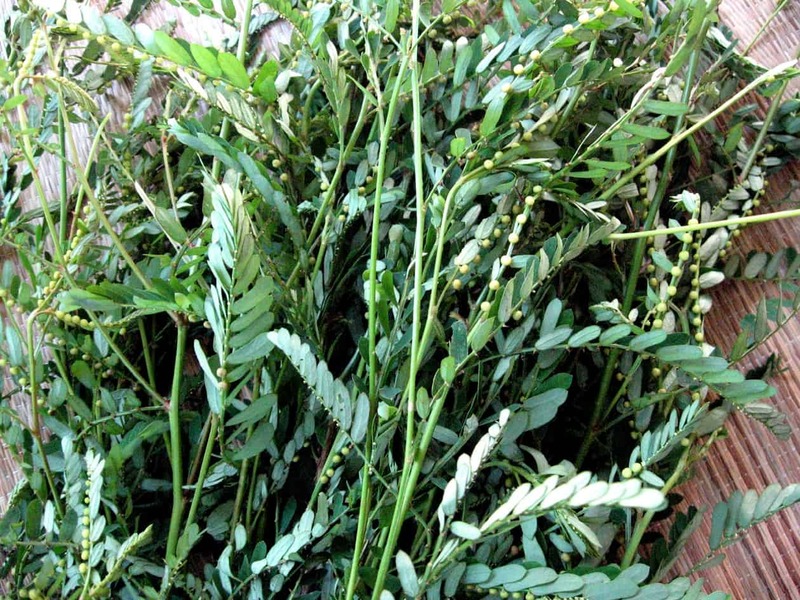 Patients were given a simple tea of chanca piedra for 1–3 months, and it was reported that the tea promoted the elimination of pain and the stones. In the same year, Dr. Wolfram Wiemann of Nuremburg, Germany treated over 100 kidney stone patients with chanca piedra obtained in Peru, and found it to be 94 percent successful in eliminating stones within a week or two. After reviewing numerous reports, I found that it appears that this herb has no significant negative secondary effects, but I would recommend this herb for emergencies, and not for regular use. 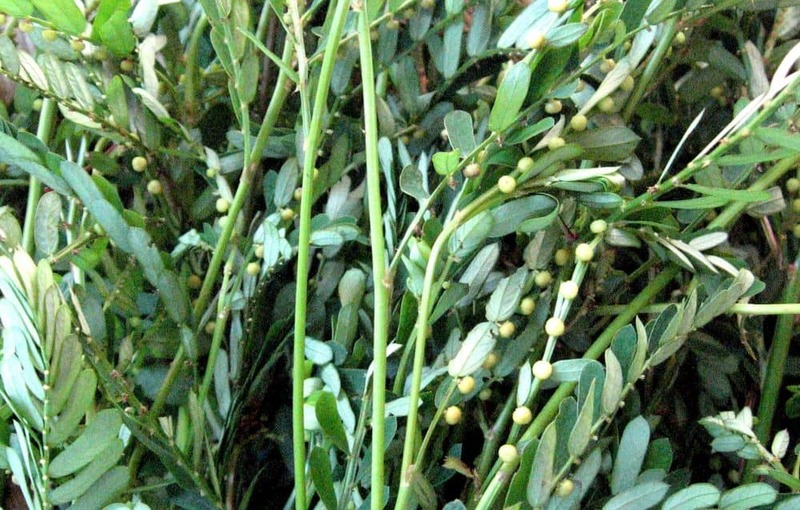 You’ll find chanca piedra products in local health food stores, or at this time of the year, you could ask neighbors and trek around the fields and forests in search of P. urinaria. Try bringing a few home for tea and to transplant into your herb garden. Once you get them started, they will reseed themselves to become a permanent resident in your green pharmacy. This hardy, wild plant requires average soil and has no major pest problem. Keep in mind that chanca piedra isn’t a magic bullet, but serves as an aid in the treatment. Kidney and gall bladder stones indicate an imbalance in the diet, which is the main cause. Here are some tips to help you prevent or eliminate them naturally. Lack of exercise and overeating also important causes of kidney stones, so make a commitment to movement and a healthy diet in moderate proportions. Be sure you are getting enough magnesium. A deficiency of this mineral has been linked to kidney stones. Green leafy vegetables are excellent sources of magnesium, and one of the simplest ways to make sure you’re consuming enough of these is by juicing your vegetables. Vegetable juice is an excellent source of magnesium, as well as avocados; some beans; and nuts such as almonds, pumpkin, sunflower, and sesame seeds. Avoid soybeans and soy-based foods, which may promote kidney stones. Excessive amounts of salt and sugar also increase the risk of kidney problems. an alarm. It’s time to make some big changes. Yes we can! Send your gardening comments and questions to me at: thenewdawncenter@yahoo.com. 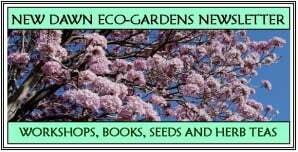 For more information on tropical gardening – naturally – and upcoming Sunday workshops, visit Ed’s website or contact him at thenewdawncenter@yahoo.com. Whatcha lookin’ at up there?